Do you need a converter tool for converting to any formats? Freemake Video Converter is the all-in-one solution to convert any video to other formats for free. Freemake video converter is available for Windows OS (32bit & 64bit). You can convert any video files on your Windows PC, making those supported by Android and MAC devices. Freemake video converter can also make Blu-ray videos easily by converting any files. Freemake video converter can convert YouTube video to MP4 and also the MP4 video format to YouTube. This tool can convert a YouTube video to other formats just by pasting the URL of that video into the software. FVC converter tool is clean, free of ads and very safe to convert any files. Freemake video converting software can also burn DVD and edit any video to cut any part of that file. Besides of these, Freemake can also create photo slideshow by adding multiple photos all together. You can also add an MP3 song to that slideshow as well using Freemake video converter tool. Also, Freemake converter can convert the MP3 file to WMA and AAC to MP3 easily. Let's get into the details to use Freemake Video Converter for Free. Why Should You Use Freemake Video Converter? Best thing that forces us to choose Freemake video converter, is its free for all option. Although, this adds the Freemake logo into the converted video but this does not matter a lot for a personal use. Freemake converter tool supports over 125+ video formats to convert including Mp4, MOV, AVI, FLV, 3GP, SWF etc. Also, this tool can convert audio files as well (e.g AAC, MP3, WMA). Besides, this tool makes a good quality video by converting it to fit on screen for Android and iPhone devices. How to Use Freemake Video Converter to Cut Video? Install and Open Freemake Video Converter. Then add a video file to edit and cut. Now, click on the cut option which is present on the right side of that video. Once you click a new window will appear. Here, you can select the start and end point by using the tools available there. Then simply click the cut icon and click 'OK'. That's all you need to do to cut a video file quickly with Freemake video converter. How to Use Freemake Video Converter to Convert YouTube Video? Open the Freemake video converter and click on the 'Paste URL' button. Once you do that video will be shown up. Now right-click on this to edit the option. Once you select the output format to WMV and selected the output folder, just hit 'Convert' button. N.B: This will convert any video which is added by URL. Just this is a premium option on Freemake video converter. At first, start the software and add the files to the Freemake software. Then click on 'to DVD' icon. Now, a window will appear with target disc information to burn. Just complete the selection and click on 'Burn' button. This procedure will burn the files to the DVD once the Burn is completed. How to Convert video to Blu-ray using Freemake Video Converter? Just open and add a video file to Freemake converter tool. Now click on 'to Blu-ray' option from below list. Now, in the new window, just complete all selection including target output folder and menu option. 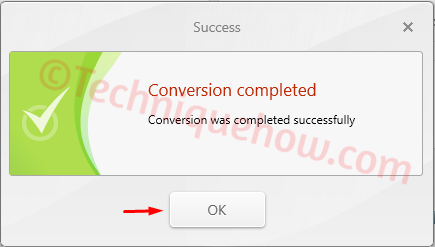 Then click on the 'Convert' button to start the conversion. Once the convert is completed, it will be a readymade Blu-ray DVD file. Add any files (video or audio) to the software. And click on 'to MP3' option. Now, on the next window, you will see the information. Just tick onto the 'Export to iTunes' option and then hit 'Convert' button. Just complete the export process to get it on iTunes. How to Convert any Video for iPhone Devices? 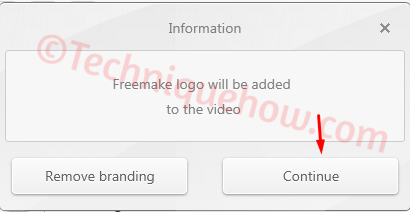 At first, open the Freemake video converter tool and add Video. Once you have added the video file, click on 'to Apple' option. On the next window, you can select any target device by clicking the drop-down arrow. This will convert & add AAC audio format in the video background. Then click on 'Convert'. A confirmation will be asked if you are using the tool for free. Just click 'Continue'. Once the convert is completed click on OK. Then find it in the output path. That's all. Just do it by this way to complete the conversion. How to Create Image Slideshow with Freemake Video Converter? With Freemake video converter you can create a slideshow by adding multiple photos on the tool. Also, you can add an audio in the background of that slideshow. At first, add all the images by click on the '+Photo' icon. You can add an audio also from the option below. Then click on the slideshow option to edit settings. This will open a window, choose the interval time there. Once setup is done click OK.
Now click on any format to create the slideshow. You can select MP4, DVD as per your choice. This will start the process. Once it is completed, you will get the slideshow saved into the targeted output folder. Freemake Video Converter provides all the options to convert any video file to another format. This tool can cut a video, as well as creates a slideshow in an easy way. This Freemake video converter tool is the best-recommended converter tool to do any conversion in a quick and easy way.